September in the Finger Lakes means all things Riesling. Here at Glenora Wine Cellars, and for 19 other wineries in the region, it’s the time for our annual month long celebration called the Finger Lakes Riesling Launch, where we all join together to celebrate the current vintage of the versatile and unique grape varietal. At Glenora, our passion and longtime commitment to the noble variety is proven by the fact that a Glenora Riesling was the first Riesling wine released on Seneca Lake in 1978. Our owner Gene believes that wine should taste like the grape and its moment in time and place and Riesling certainly reflects this philosophy. Having just entered into his 35th harvest, our winemaker Steve DiFrancesco ensures distinctive and consistent quality Rieslings in a variety of styles year after year. According to Steve, the 2013 growing season was average, with typical sugar levels, resulting in elegant, balanced alcohol levels in the wines. As always, we paid careful attention to the ripening progress, and picked the grapes at the best time to retain bright flavors and lively crispness. Favored in the 2013 vintage are vibrant, ripe lemon and lime flavors, with a pleasant background of minerality enhanced by balanced acidity and moderate sweetness. This Saturday, September 27th, we will take part in Finger Lakes Riesling Hour, the world’s largest Finger Lakes Riesling virtual tasting from 7:00 pm to 9:00 pm via Twitter, Facebook, and Instagram using #flxwine and #flxriesling. Hallie, our Marketing Coordinator, will be tweeting and posting live about our 2013 Dry Riesling via @GlenoraWine on Twitter and Instagram, and we encourage everyone to join in the fun! It’s quite simple, just open up a bottle of your favorite Finger Lakes Riesling and join the conversation using #flxwine and #flxriesling on Twitter and Instagram or tag @Finger Lakes Wine in your Facebook posts. 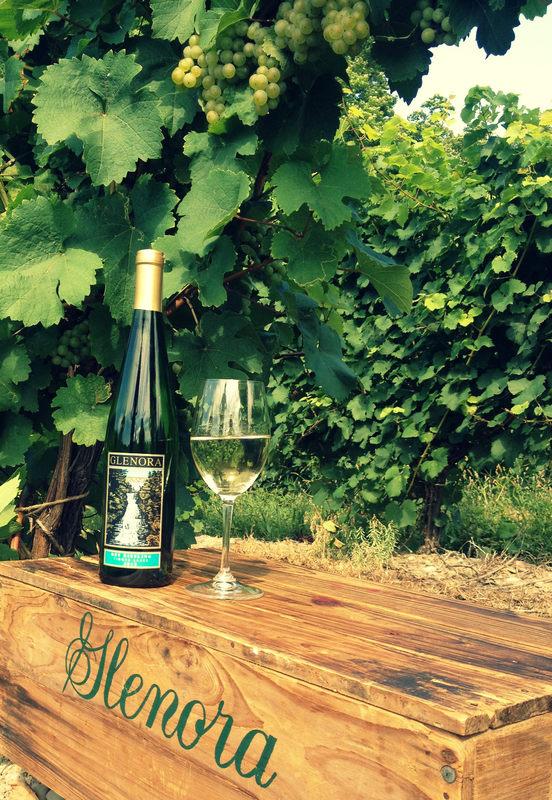 Post pictures of your evening with friends and family enjoying delicious Finger Lakes Riesling! Why is the 2013 vintage worth celebrating? Find out from Finger Lakes winemakers and winery representatives themselves in this video!